If you have ever wanted to check food manufacturer claims with regards to the ACTUAL weight of foodstuffs that you are buying then you are not alone. I recently had the dubious pleasure of checking two brands claimed weight for their 800 gram frozen calamari rings products. 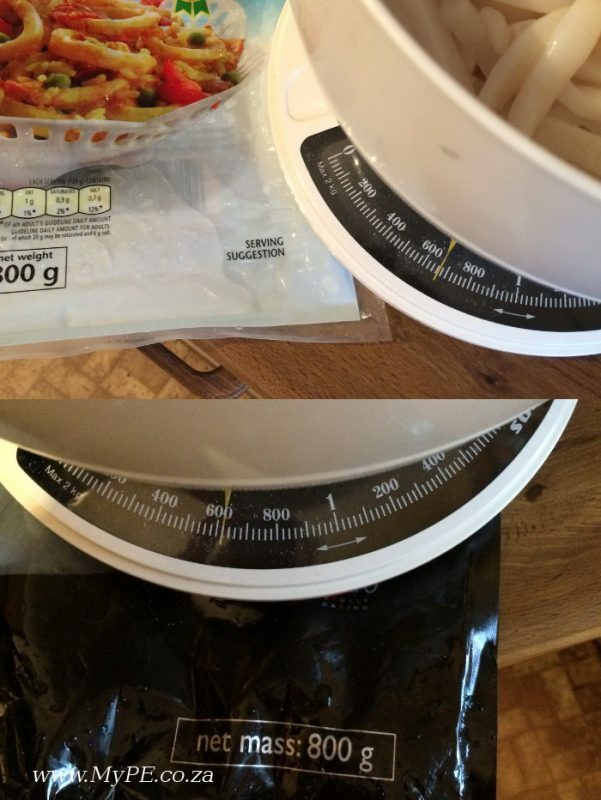 I used my ordinary kitchen scale and weighed both before defrosting and then after defrosting and rinsing to remove the ‘protective glaze’. Which product do you think I trust better now?